Competitive Skip Hire Prices, Unbeatable Service - Our Promise. Order your skip today for quick delivery (Mon-Sat). Competitive commercial and domestic skips for hire – we offer a fast, affordable and reliable skip hire service in Northants. We offer our customers a cost effective and professional skip hire, waste removal and recycling service. 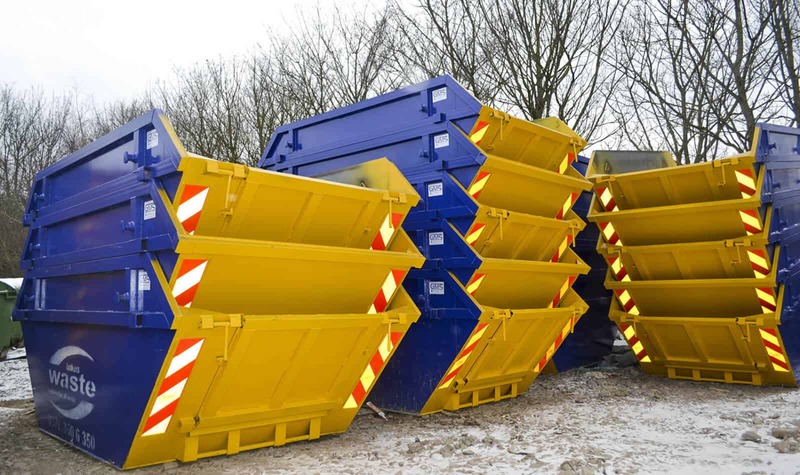 We have a full range of skips for hire, including, 2, 4, 8 and 12 yard skips, 8, 10 and 12 yard enclosed skips, and 20 and 40 yard Roll On Roll Off waste containers. Commercial waste services have been tailored to suit your needs; thus, we’re able to offer all kinds of customers a solution when it comes to disposing or recycling their waste. With state of the art segregating and recycling facilities at multiple sites in Leicestershire, we offer dedicated vehicles to collect and recycle glass, recycle cardboard, paper, wood, recycle plastics, and other waste materials. Clearance Service – the easiest and most efficient way of disposing your junk.Our man-van waste removal service includes rubbish clearance, junk removal, house clearance, office clearance, commercial waste collection, void property clearance, WEEE collections and bulky waste collections. Copyright [wpsos_year] Bakers Waste Services Ltd | Company Registration No. 0518 3729.